Assassins Creed Odyssey for Switch Is Only 44mb Due to the Switch Cloud Service. Assassin’s Creed: Odyssey was released today, and we all know that Ubisoft’s Assassins Creed has always been a large open world game, so the game file has to be very large as well to accommodate for the visuals. So when the Odyssey was announced to land on the Nintendo switch, many people were surprised about the Switch’s capacity to run the game. According to Nintendolife, the Switch version for Assassins Creed: Odyssey is only 44MB. Players can enjoy the game on the Nintendo Switch platform thanks to the development of cloud gaming technology, allowing games to run through cloud servers, minimizing hardware configuration requirements. What we need to be concerned about is whether the network that provides streaming cloud game services can maintain high speed and stability. 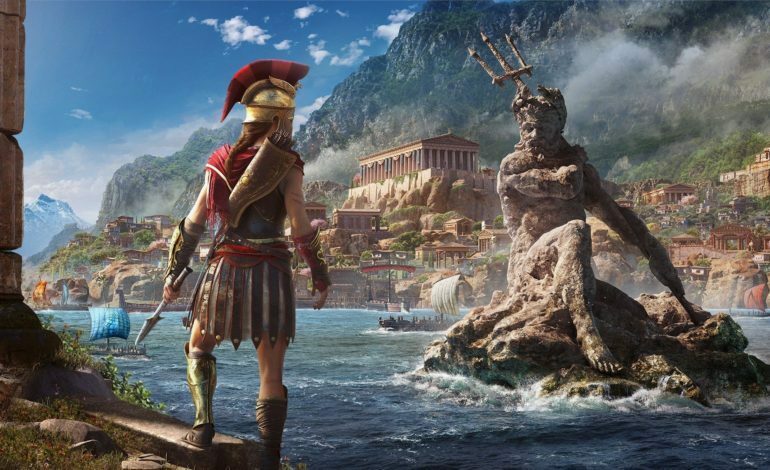 After all, the Switch version of Assassins Creed: Odyssey is still very taxing for a cloud-based game. For the Switch version of the game, it only needs to obtain a client that accepts cloud game data. This way, players can play the Switch version of Assassins Creed anytime, anywhere. Since the current cloud server is located in Japan, players in other regions cannot access it. Despite the exclusivity of the title, it might still be possible that cloud servers will be open for other regions in the future. The newest accolades trailer from Ubisoft shows off a rebellious belief about fate, called DEFY FATE, which is the main plot for the story of this game. In 480 BC, King Sparta Leonida I led the 300 warriors against the Persian army. Their brave battles won preparations for the Navy of Athens and a decisive victory in the Greek battle against Persia. Half a century later, Athens and Sparta open an “Ancient World War” in order to compete for Greece’s hegemonic status. A mercenary who possesses the blood of King Leonida embarks on his own journey, and thus the story of the Peloponnesian War and Assassin’s Creed Odyssey begin in 431 BC. Assassin’s Creed: Odyssey launches today, October 5, 2018, for the PlayStation 4, Xbox One, PC, and Switch platform.